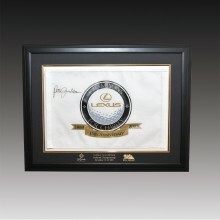 Preserve your favorite golf ball in our Boardroom style display case. 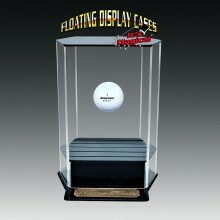 Caseworks’ boardroom baseball display is beautifully accented with our custom designed mahogany molding that that frames the black acrylic base. 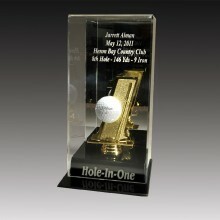 It also features a tee to hold your ball and a crystal clear acrylic lid.